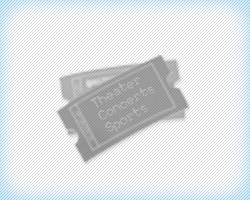 Theatre is one of the oldest forms of entertainment known to man. It also happens to be the most influential and has represented historical events through its medium for centuries. In modern times, since music has become an inevitable aspect of entertainment, theatre performances have also incorporated music in their storylines. Having said that, a musical play uses acting and dialogue, along with music and dancing to entertain and enlighten. The typical distinction between a musical and a play is in the method used to narrate the story. A ‘Play' is generally only a piece of literature projected through dialogues and presented as a traditional theatrical performance. A ‘Musical' is a form of theatre where songs are a major part of the story. It is defined and presented through lyrics that compliment the storyline. A ‘Musical Play' is a modern form of entertainment that combines both music and a theatrical performance in order to strike the right balance and make the presentation more appealing. Most of the plays produced nowadays fall in this category. The story is told through dialogues and exceptional acting. Singing and dancing add to the story and bring out that exotic touch to the performance that separates it from the reality, and takes the audiences into another world. Even though theatre has been around for ages, it was not until the early twentieth century when Musical plays became popular. There are some accounts of music and theatre combined in ancient Greeks and Romans times as well, but today's theatre has little if any influence from those times. In fact, the main source of inspiration for the modern theatre comes from the vaudeville shows and operettas. The French and Viennese's theatrical presentations from the 1800s seem to have the greatest impact in shaping up the musical plays today. The initial musical theatre is generally credited to ‘Gilbert and Sullivan' and ‘Harrigan and Hart'. The early 1900s was the golden era for musical plays, so much so that even during the Great Depression people found the time and the money to entertain themselves. Considering the popularity of theatre in modern times, we find that some of the musical plays have performed commercially better than many big budgeted Hollywood movies. The influence, impact and popularity of musical plays seem to be higher now than ever and the popularity of theatre is still on the rise. Musical plays produced today incorporate diversified themes and subjects, varying from satire to fantasy, history to future and comedy to tragedy. Musical play tickets are bought by every faction of the society since the productions nowadays target all demographics. Theatre still seems to be standing tall in modern day entertainment arenas. American plays are usually divided between “Broadway” or “Off-Broadway”. Many might believe that the difference here may be the venue of the performance, but in reality it is way more than that. Theatre size, audience turnout, production scale and commercial grandeur are all factors that define a play to be Broadway or Off-Broadway. Another way to classify different musical plays is to consider their storyline and structure. One category of plays is ‘Original', which projects that the story, production and everything associated with the play was primarily compiled for the purpose of a theatre presentation. The entire production is intended for theatre, for a play to be classified as original. ‘Revival' is another way to catalog a play, which essentially means that the play has already been performed and now either it is a remake or small changes have been applied while staying true to the original. ‘Adaptation' is however the most common category for today's musical plays. Itis a play based on a book, novel or a movie. With this the story is initially not intended for a theatre performance. Some of the biggest Broadway successes are included in this last category. The Lion King, The Full Monty, Beauty and the Beast and Chitty Chitty Bang Bang are all adapted from blockbuster movies. Some original theatre productions have also inspired movie productions such as Chicago, A Chorus Line, The Phantom of the Opera and The Philadelphia Story. All in all, musical plays have become an inseparable part of today's entertainment world and the theatre industry is on the rise because of this very reason.